Autism Spectrum Disorders are very diverse, and it’s impossible to say what an individual will or won’t be able to achieve if they have one. Everyone is different, and we’ll all relate to experiences in various ways. You may find it difficult, or you could take to driving very well and become competent quickly! So, we can’t predict how easy or hard learning to drive with ASD will be, and we can’t make any huge assumptions about how one person may find it. But we can give some basic information that we’ve found from The National Autistic Society website and others like it, so that you can get a general overview and basic pointers if you have ASD and are considering driving for the first time. You can apply for your provisional licence when you’re 15 years and 9 months old, and typically start driving when you’re 17. However, if you have the enhanced rate of the mobility component of Personal Independence Payment (PIP), then you can start learning to drive when you’re 16. You must tell the DVSA if you have a disability that affects your ability to drive safely – if you don’t notify them of this, you could be subject to a fine or prosecution if you’re involved in an accident. 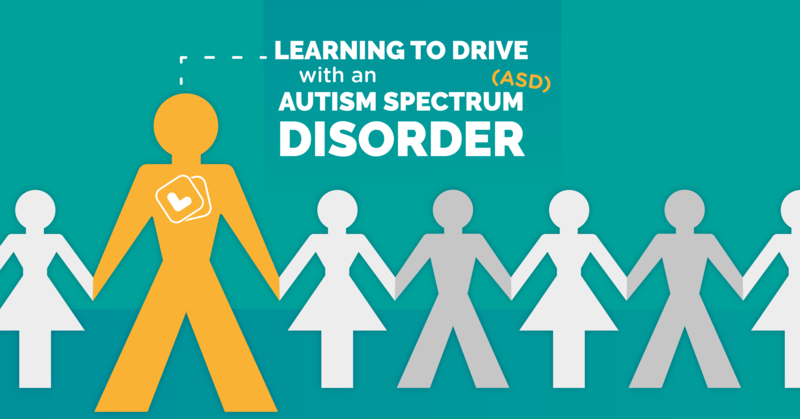 You may want to speak to your GP if you’re thinking of learning to drive so that you can discuss guidelines with them, as well as any other questions you may have about driving safely with ASD. Finding a driving instructor that can adapt their teaching style to your needs is vital. A lot of instructors specialise in teaching learners with a disability; some of which can be found here. You may also have friends, family, or someone else in your community who are able to recommend an instructor. Many offer taster lessons, so you can “shop around” before finding the right one for you. Before meeting your instructor for the first time, you should think about your worries about driving, as well as anything that could impact your ability to learn – you might want to write this down to give to your instructor or tell them before your first lesson. If you have any calming methods that help you manage your anxiety, let your instructor know so that they can be prepared to assist you with these if necessary. You should also think about what could help you to progress; not just what could hold you back. So, if you’re a visual learner, you should tell your instructor so that they can make use of any visual aids they have – most will have a handheld teaching guide which includes detailed diagrams, and explanations. If you have a shorter attention span, you can ask for breaks during lessons rather than doing them in solid chunks. Think about what helps you to learn best and talk to your instructor about how you can integrate these methods into your lessons! Getting ready for your first lesson can cause anxiety for a lot of people. So, it’s important to find a strategy that works for you to manage your nerves effectively and focus. If you find visual learning is best, try observing traffic as a passenger in another person’s car, or watch videos online. This might help you to familiarise yourself with road signs, the rules of the road, and the behaviour of other drivers. You may also want to look at the Highway Code so that the rules aren’t new to you when you first get in the driver’s seat. There are plenty of cheap second-hand copies of the Highway Code online, and there are some great apps out there that help you to learn and put your knowledge into practice with quizzes and tests. Some software packages even offer virtual driving experiences with a hazard perception section, meaning that you can get a better idea of what sort of hazards you could expect with day-to-day driving. It’s also important to note that you may be able to get help with the cost of lessons through a Motability Charitable Grant. If you need inspiration or you’re doubting yourself as a driver, then check out Julia Malkin – a qualified driving instructor with autism. The most important thing to do when it comes to curbing your driving anxieties and nerves is acknowledging them. Nerves are your brain’s fail-safe mechanism and exist to protect you from dangerous situations – but you need to acknowledge where your nerves stem from. If you’re worried about your own abilities as a driver, think about how you can actively manage these fears. You may want to get advice from your driving instructor, a GP, therapist, family member, or friend. You should also focus on your strengths, and how you can use them to your advantage when learning to drive. For example, if you have a good memory, you can revise the rules of the road and know that you’ll put them into practice when you’re driving. Or, if you benefit from routines, you may be better with manoeuvres. Your instructor’s role isn’t solely to teach you how to drive, but is also to act as your guardian during your learning experience. So, you should try to communicate any worries you have with them to see if you need to devise a new learning strategy. If you don’t feel confident doing this, then try speaking to someone that you trust and they can speak to your instructor on your behalf. Practice makes perfect, so try to get as much as you can. When you have a provisional licence, you’ll need to be supervised by a driver over the age of 21 who has held a full licence for at least 3 years. Your driving practice doesn’t have to stop just because your lesson is over – you can get learner driver insurance on a friend or family member’s car and practice your new skills outside of lessons. Learning to drive can be difficult, but focusing on the small victories can also be a huge help. Make sure to reward yourself when you’ve learned something you’ve been struggling with and congratulate yourself regularly. Being able to drive is an achievement and a privilege, so take pride in your abilities regardless of how long it takes you to learn. And if you decide that driving isn’t right for you, it still shows great determination and ambition to consider learning in the first place. For more information, check out our post on learning to drive with a disability. If you’re practising in someone else’s car outside of lessons, check out our learner driver insurance – you can get cover from between 1 hour and 30 days for an affordable price! 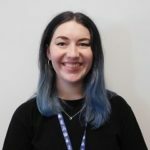 Hi, I'm Ellen - a Product Owner at Veygo! 👋 I passed my test nearly a year ago, and most of my journeys involve my mum and I belting out cheesy Take That tunes while gorging on sweets and nibbles!